We also wanted to find out what some other school councils did. We already have a school to school partnership with Somers Heath Primary and so we contacted them to ask if they would like to work on a mock election with us. Both school councils got together to begin campaigning in both schools. 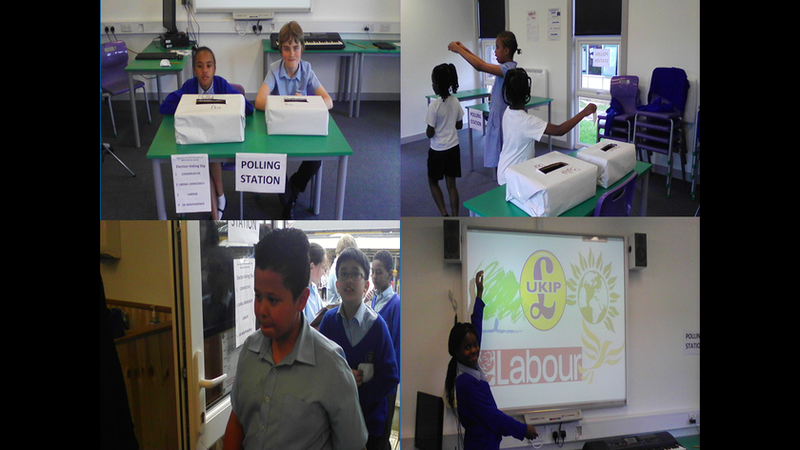 They researched the four main political parties – Labour, Conservatives, Liberal Democrats and the UK Independence Party. We then presented our manifestos to each school during an assembly. On Election Day we ran a polling station. Mrs Higginson came as our independent adjudicator. We learnt how a polling station runs and the importance of checking all the voters off and counting and recounting all the votes. Then recounting them all again to check. Labour were our school winners.